In this free easy guitar lesson you will learn 4 easy chords and how to put these chords together so you can jam. 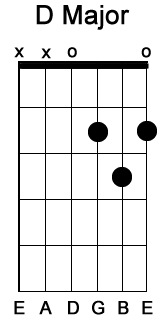 Start off by learning the 4 chords below. 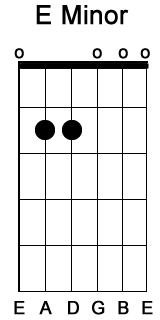 The chords are shown on a guitar neck diagram to show you where to put your fingers. 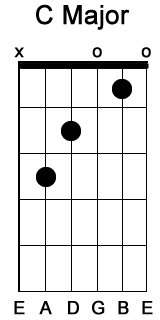 The black dots are where you place your fingers and fret the string. An "X" means that you don't play the string and an "O" means an open string. An open string is where the string played but it is not fretted. Strum these easy chords as shown in the guitar tab below. 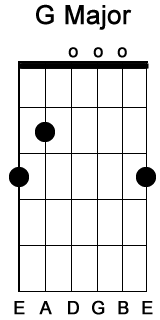 Notice that when changing from the E Minor to the G Major chord that you can leave your finger on the 2nd fret of the D string and just move your other fingers.